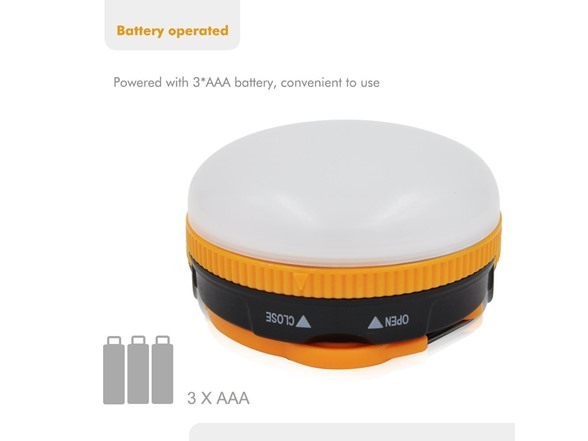 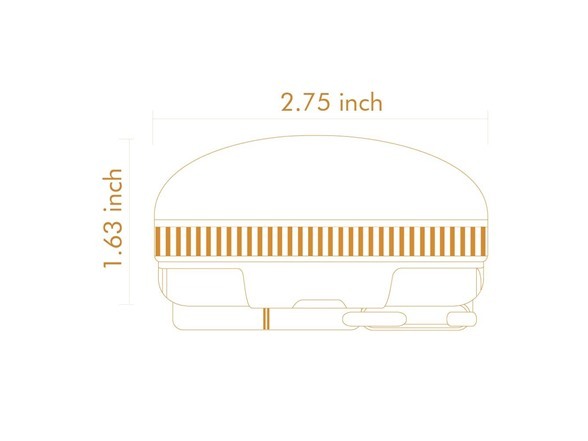 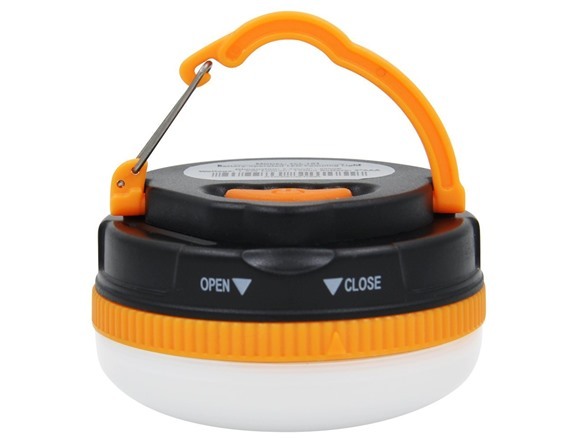 This compact size LED camping light can use as flashlight, work light, camp light and headlamp. 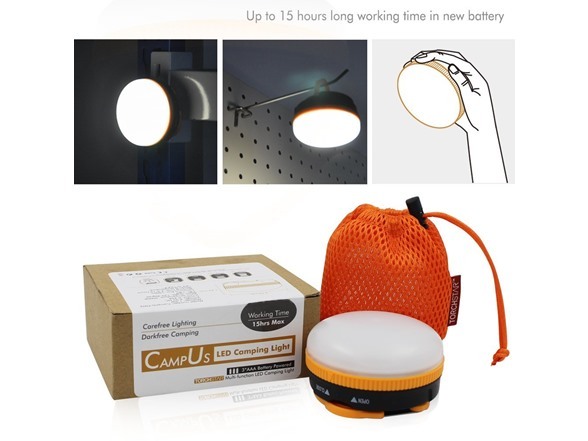 It use pure white LED SMD chips as light source which can provides white and clear light in 150lm output and 5000K color temperature. 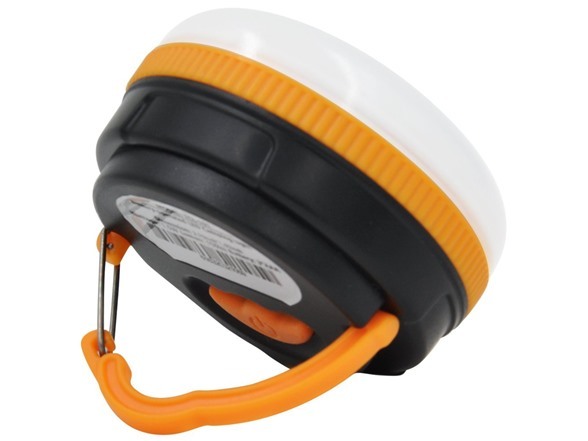 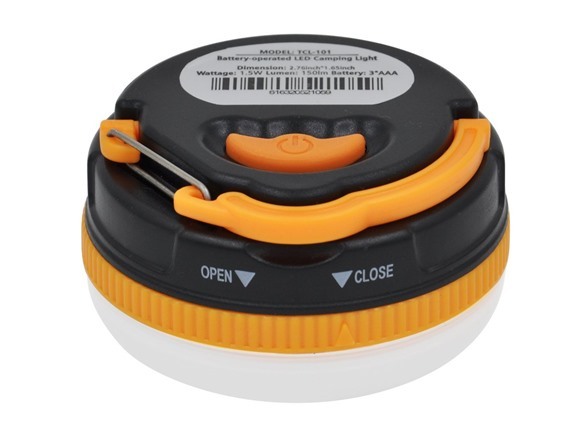 It comes with high density PVC handle and inside magnet for use as hanging hook to attach to your tent ceiling. 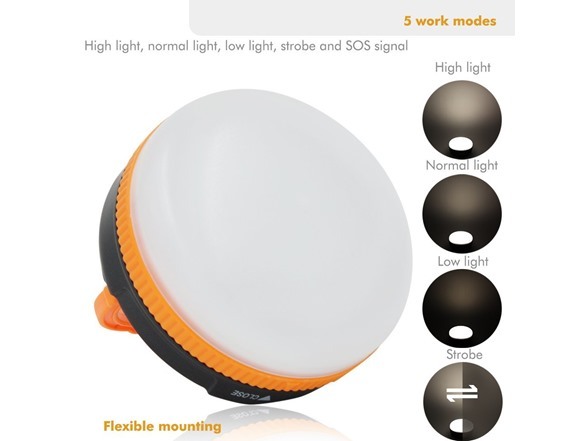 Magnet built in lamp body and rubber belt will make it easy to attach the light to any metal surface.